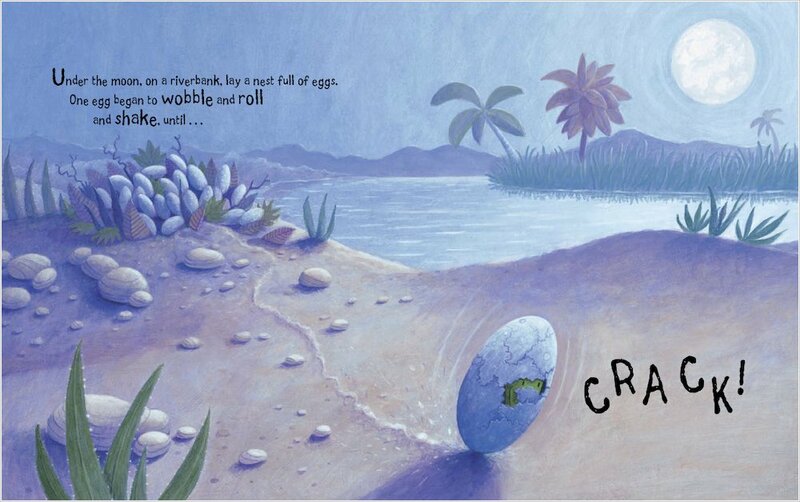 All alone, the little crocodile hatches out of his egg. Where is his mummy, to kiss and cuddle him? 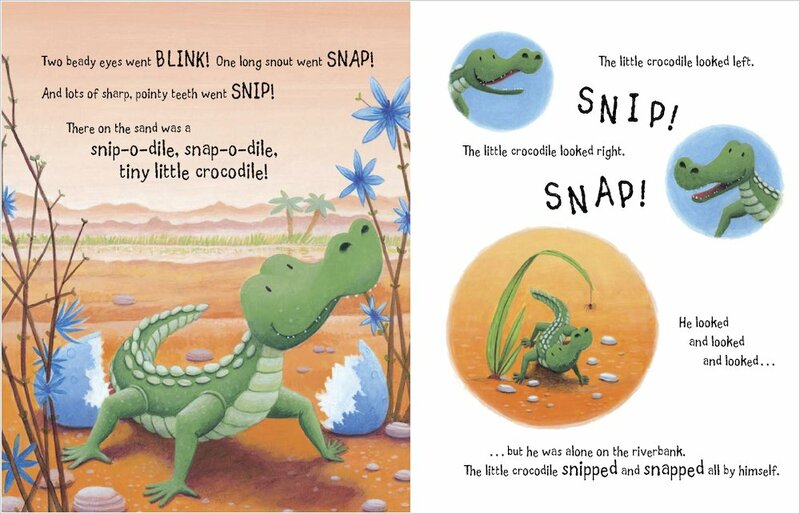 “Snip-o-dile, snap-o-dile, very scary crocodile!” shout the other animals whenever he comes close. The poor little crocodile is left all alone. 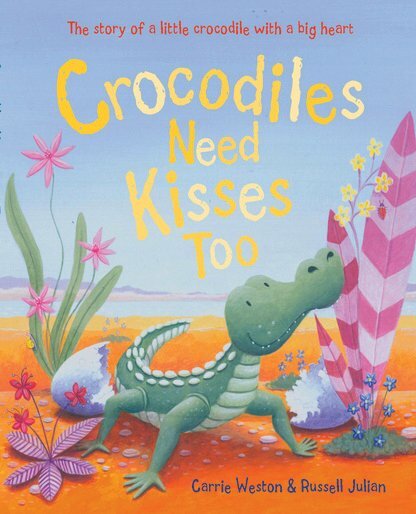 Will he ever find someone to give him a lovely, snuggly crocodile kiss? A heart-melting rhyme celebrating family love, told in gorgeously cute pictures and rhythmic text for sharing aloud. 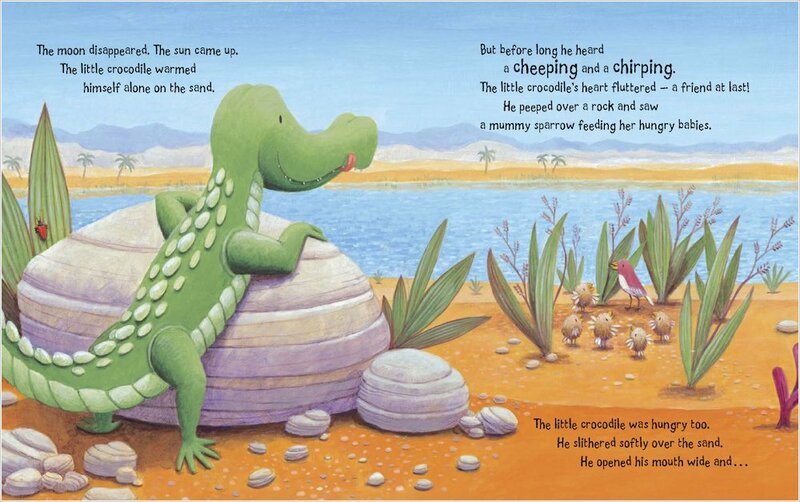 Will this lonely little croc get the happy ending he longs for? Find out – and prepare to snuggle up! My favourite book to read with Mummy! I laughed when the crocodile tried to make friends with all the animals, but they were scared of him! I was happy when he found his mummy and all his brothers and sisters.